Also, click here to find out about Cha Cha's 50% Off for Tax Relief Monday on April 11th. 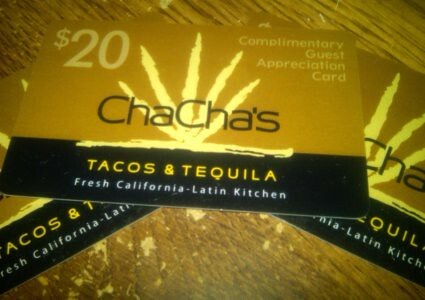 Cha Cha's Tacos and Tequila in Brea has given me three $20 gift cards to give out to three lucky winners. To enter the contest answer the following three questions correctly to be placed in a drawing for one of the cards. Entries need to be in by 11:59:59pm Pacific Time on April 7th. The drawing will then take place on Friday, April 8th, and winners will be announced later that day. What is one menu item that is only on Cha Cha's brunch menu? What is the name of one of the owners at Cha Cha's? What event occurs every Thursday at Cha Cha's? E-mail your answers to reviews@ocmexfood.com. Entrants will only be asked for their mailing address if they are identified as a winner. BREA, Calif. (March 11, 2011) – Cha Cha's Tacos & Tequila, the fresh innovative Latin restaurant located in Brea Downtown, is offering guests a 50 percent discount on all of their delicious entrees on March 21 to celebrate Spring Break. Guests need to present the savings certificate, which can be printed from Cha Cha's Web site. The certificate can be seen here. "Our 50 percent off promotion is one of our guest's favorites," said Don Myers co-partner of Cha Cha's Taco & Tequila. "Guests can come in and try something new, or get one of their favorites for an amazing price. 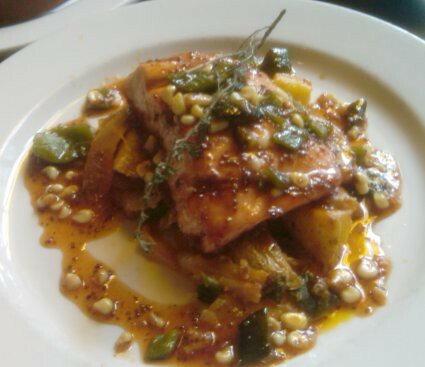 The restaurant fills quickly, so we recommend making a reservation." 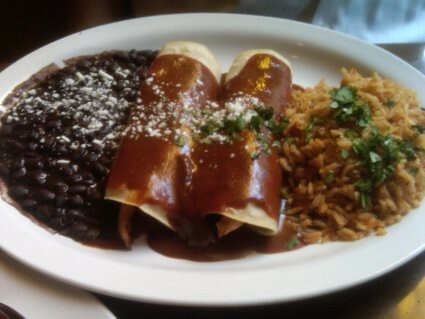 Cha Cha's Tacos & Tequila offers an alternative to traditional Mexican cuisine. Using quality seasonal and organic ingredients, the Latin-inspired menu features spectacular Latin food prepared in a wood-fired oven, and a variety of fresh house made fire-roasted salsas, which hint to the natural and abundant flavor profiles found in every dish. That same attention to detail carries on to their hand-crafted cocktails, where they use only fresh-squeezed juices, house-made sour mixes, 100 percent Blue Agave Tequilas for their Margaritas and fresh fruit garnishes. "We want our guests to be able to enjoy new menu items without thinking about the price," said Peter Serantoni, co-partner of Cha Cha's Taco & Tequila. "Once guests try our food, we know they won't be disappointed and we will see them again." BREA, Calif. (March 15, 2011) – Cha Cha's Tacos & Tequila, the fresh innovative Latin restaurant located in Brea Downtown, is sponsoring Erendida Day on Wednesday, March 23 to help and honor Erendida Jacobo, one of their opening bartenders who is currently undergoing chemotherapy for breast cancer. During Erendida Day, 25 percent of all bar sales will be given directly to Erendida to cover a portion of her missed tips and medical expenses. Last September, Erendida was diagnosed with an incredibly aggressive Stage-1 breast cancer and had surgery last October to remove the cancer. Recently, Erendida's doctors told her that she needs to have chemotherapy to drastically reduce the chances of the cancer returning. "Erendida has been with us since we opened and has grown to be one of our favorites due to her upbeat attitude no matter what life throws her way," said Don Myers, co-partner of Cha Cha's Tacos and Tequila. "When we heard what Erendida was going through we knew we needed to do something to help her." In addition, Dwight Manley, local philanthropist and community activist will be matching the funds Cha Cha's is giving to Erendida. "Erendida is the epitome of Cha Cha's - sweet, friendly, smiling, and a quality person." said Manley. "Brea Downtown is really a 'family' of unique and quality establishments, and she is part of that family. I invite everyone else to help Erendida and show your Brea pride." Cha Cha's Tacos & Tequilas is located in Brea Downtown at 110 W. Birch St, Brea, CA 92821.